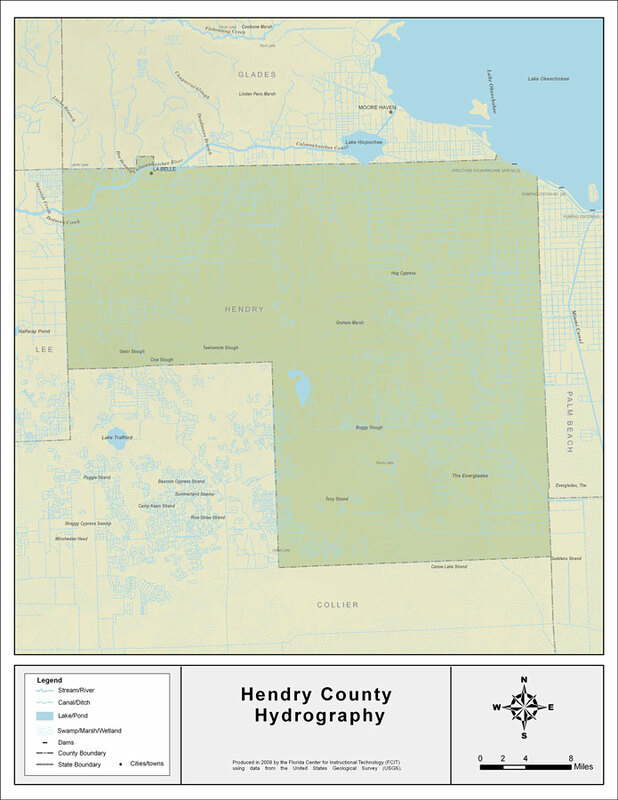 Description: This map was created by FCIT and shows the waterways of Hendry County. All major rivers, streams, creeks, lakes, and swamps are labeled. This map features Jacks Branch, the Caloosahatchee River, Banana Branch, Fort Simmons Branch, Bedman Creek, Long Hammock Creek, Lake Okeechobee, and the Everglades.